I can’t quite believe we’re in October – September whizzed by in a flash! A huge Thank You to those who responded so rapidly to our call for samplers to join our team – I was amazed and overjoyed at the response. I’m currently getting the first sample packs organised to send out, as well as preparing for the first show of this month – the St Agnes Food and Craft Market this Saturday – full details and directions are on our Events page. 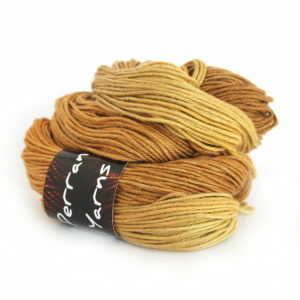 We’ll have a fabulous selection of Perran Yarns and kits available to fondle including the gorgeous DK Silky Smooth together with the Tied Knots hat I recently knitted in it, to show how wonderful this yarn looks and feels knitted up. If you’re close enough to visit please do pop in for a chat and to browse the lovely local small business stalls including local foods as well as crafts, and treat yourself to a delicious lunch at the Cuckoo Cafe! 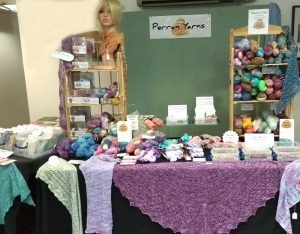 ← Join the Perran Yarns Team!